Everybody’s heard blind date horror stories. But there are just as many cautionary tales about roommate hunting from renters who learned hard lessons about cohabitation with someone they thought they could trust. All the more reason, say the experts, why it’s crucial to search cautiously for a prospective roommate and to investigate the person properly before committing to a co-tenant. Just as importantly, “this is the person you’ll be financially tied to for the remainder of your lease, so vetting this person carefully is key,” says Andrew Gruesser, director of leasing for Kass Management Services in Chicago. William Matthews, financial advisor and real estate agent in Houston, says you can conduct a roommate hunt by asking friends and family and searching on Craigslist, newspaper classifieds, social media and other sources. You can also publicize your need for a roommate via the same methods, although caution is advised (for additional tips, visit craigslist.org/about/FHA). “Be very clear and direct on what you are looking for – your deal breakers and pet peeves. Spell everything out, and avoid acronyms in your listing,” says Matthews. 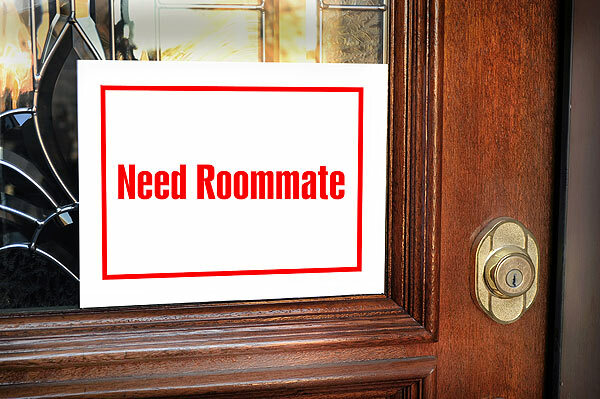 To help narrow down roommate candidates, be prepared to ask several significant questions. “Find out about things like work schedule, type of work, hobbies, habits, and family,” Halaris says. Also, “ask questions about compatibility, tidiness, noise, personal belongings, overnight visitors allowed, and what will happen if the rent is not paid,” says Josh Rosenthal, owner of MoveIn.Space, a Washington, D.C.-based company that helps renters prepare to move and manage walk-through inspections, who also recommends asking for and contacting references they provide. Positive traits to look for in a co-renter prospect include dependability, trustworthiness, congeniality, and a favorable employment history. Other matters to settle before shaking hands are personal areas that will be off-limits, who will write and deliver the monthly rent check, and access for romantic partners. If you’ve already signed a lease and are looking for a roommate to help split the rent, review your lease terms thoroughly and confirm with your landlord that he or she is okay with you bringing another tenant aboard. Ideally, the new roommate should be added to your lease so that they are legally and contractually obligated to fulfill its terms. If the lease remains in your name only, at least create a written roommate agreement you both sign that specifically indicates rights, responsibilities and obligations.